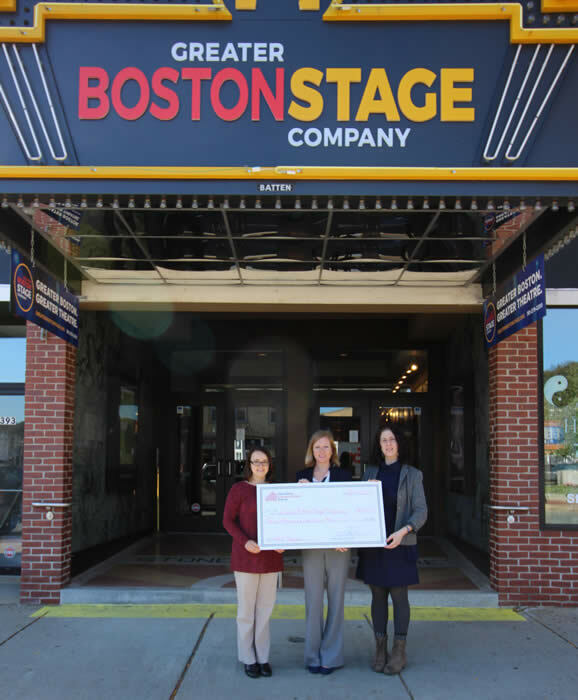 Reading, MA – Reading Cooperative Bank (RCB) is proud to announce its recent donation to the Greater Boston Stage Company. The donation supported the stage company’s Advanced Young Company Ensemble’s production of “Jack and the GIANT.” The Advanced Young Company Ensemble (AYCE) is an audition-based performance program designed for the strongest and most dedicated young theatre artists in acts two and three to achieve the next level in their theatrical training. Modeled after a professional equity rehearsal process, the AYCE program culminates in public performances on Greater Boston Stage Company’s stage. “The Greater Boston Stage Company is a wonderful organization that reaches out to many different communities in Boston’s Metro North region. They encourage young adults to strive for excellence and push themselves to be the best that they can,” commented Shanna Cahalane, Director of Marketing at RCB. The Greater Boston Stage Company has been a key part of Boston’s Metro North community for almost a century beginning in 1917. Reading Cooperative Bank is happy to support organizations that value young adults and develop them into respectful members of the community. The Greater Boston Stage Company does much more than just develop performers; through its educational programs, it helps young people achieve excellence in performing arts and become engaged and active members of society. For years, it has not only been producing wonderful performances, but creating an atmosphere that brings together communities through the warm and welcoming environment that it offers through its programs.